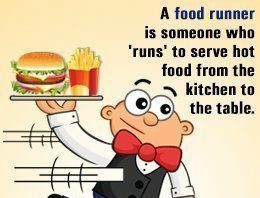 There are millions of Food & Beverage Service workers working in the industry. 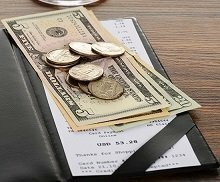 Many of them don’t have any sort of idea about basic f & b service rules or guidelines. So today, I will discuss some basic food and beverage service rules. Waiter or waitress working in hotel and restaurant should try to follow this basic rules to provide an wonderful service to their guests. Handle silver flatware by the handle. Handle clean chinaware by the edge. Handle glassware at the stem or base. Never place your thumb on the plates. Always carry silverware, chinaware, linen, glassware on a clean tray when approaching guest table. Never walk back to the kitchen empty-handed, take along dirty dishes. Dishes should not be stacked too high on the trays. Always serve the ladies first. Always serve guests from the right and clear tables from the right. Before each course is served, remove soiled chinaware and replace with clean chinaware. Complimentary starter (if available) is to be served to all guests after the food order is taken. Chinaware and towels are to be changed throughout the meal. Always change ashtrays when one cigarette stub is in it. Always open wine bottles in front of the guest. Leave the bottle (if white wine or champagne) in the ice bucket while opening. Always display the label and repeat the name of the wine when presenting to guest. All alcoholic drinks must be served with mixers and ice on the side. When serving alcoholic drinks, request the guest to advise how much ice and mixer they would like. Crumbs are to be swept away using a folded napkin on to a clean B&B plate before dessert is offered. Coffee and varieties of tea are to be offered when taking the dessert order. Cream and sugar are to be served on silver tray and placed on the table before coffee or tea is served. Coffee or tea must only be served in silver pots. Tray with dirty dishes to be removed immediately from the public area to the kitchen. Dirty dishes are to be cleared only after everyone at the table has finished that course. Checks are always to be presented in the check folder. Checks are to be presented to guests on demand only. Tables are to be reset as per table top specifications as soon as the guest departs. Complimentary meal-end items (if available) are to be offered when presenting the guest check. We have developed 200+ Free Hotel & Restaurant Management Training Tutorials for our readers. Click HERE to see the entire list. We appreciate your words. Please collect our premium training manuals and read all our tutorials. man. appreciate so much. doing great work. Thanks for your appreciation Eric. 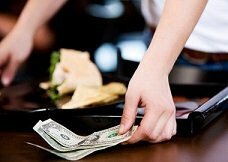 I just want to ask if I am wrong, as I know serving the food for the customer is always on the left side and not in the right. Thanks! Hi! This is same lesson in the workshop I attended at Asian School of Hospitality Arts. Fantastic! Hi This is suren mohanty working as a Food & Beverage Service Department. 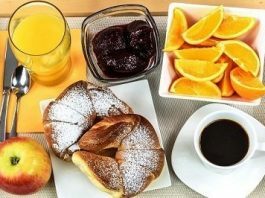 i would like to Improve my service as well as bar about the good service and new style of taking order from the guest, dialogue with guest who becomes angry due to high charge and quality of food. 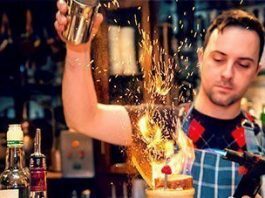 knowledge about the standards of Service And Bar. please kindly mail to me on my mail id please. Please may you sent me how I can contact you and also some free and some payable manuals or books that can be useful to me I do have passion in F&B SERVICE that is my area of interest. Please I am in Zimbabwe how can i do payments if i have to pay for something books I want from you. We USD as our payment money. Your quick reply will help me. From Contact us section you can send me email. You can pay through paypal or western union or moneygram service to purchase our materials. good day! 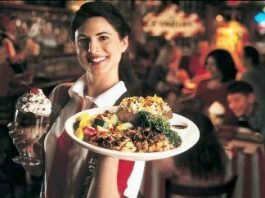 I am a student and would like to ask what are the training module needed for f and b service staff . I don’t understand your question. 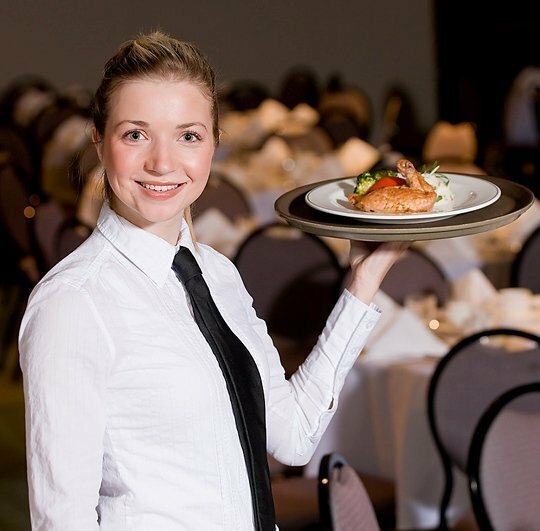 Please download our prospectus for any queries about our F & B Service course..
Can you please tell me if it is legal to have employees who clean guest rooms in a hotel alternate between cleaning rooms and then serving breakfast in the restaurant? Our housekeepers were recently told they now have to clean sleeping rooms and after each room they clean, they must go down to the restaurant and replenish food items, take out garbage, do dishes and cook any food items or prepare any items and then go right back to cleaning guest rooms as they have let the restaurant staff go to cut back. I should not comment on any side because it is totally up to the management. I believe there is no set rule. Practically that is not allowed in the industry because of the likely impacts to this. sir if you can send me the basic rules of food & beverage, also telephone ettiquites. In which direction must a waiter walk around the table, clockwise or anti-clockwise? The textbooks differ on that point. It should be clockwise.Ladies and children should get first priority. Move clockwise to the first female guest.Then move clockwise to the first male guest. Why? There are lots of free sop here in this blog. You should find these as sample. my name id hiyasin from philippines. I am a student,can u send me the 7 rules of service i would appreciate if u send me that in my email. 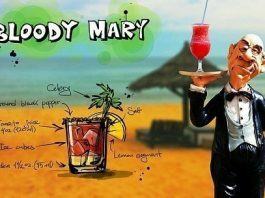 CLICK HERE to know how to get all my tutorials..
i want know about services of alcoholic beverage. Thanks for your interest. In future I will publish some F & B Service Training Manual where you would finds lots of information. Please wait for that. i m looking for a training plan,for f and b service staff in a restaurant bar . i shall b thankful to u for this assistance. 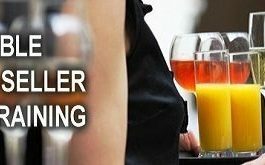 I would like to put together a training plan for food and beverage dept for restaurant waiters and bar staff. It would be great if you could help me. Motivation and upsell tehniques are interesting me as well. im in operations handling food and beverage department i am in charge of training the staff on all aspect of the operations. may ask for assistance in building up a training module so i can use this forthe betterment of our service? .-= Admin´s last blog ..How to Serve Tea or Coffee in Restaurant (SOP) =-. I am a student, I like to make a contribution, but can’t afford much. I would appreciate if you send me the following by email. DETAIL FOOD AND BEVERAGE SERVICE FOR WAITERS. DIALOGUE WITH GUEST WHO BECOMES ANGRY DUE TO HIGH CHARGE. BASIC FOOD AND BEVERAGE TOUTORIALS.